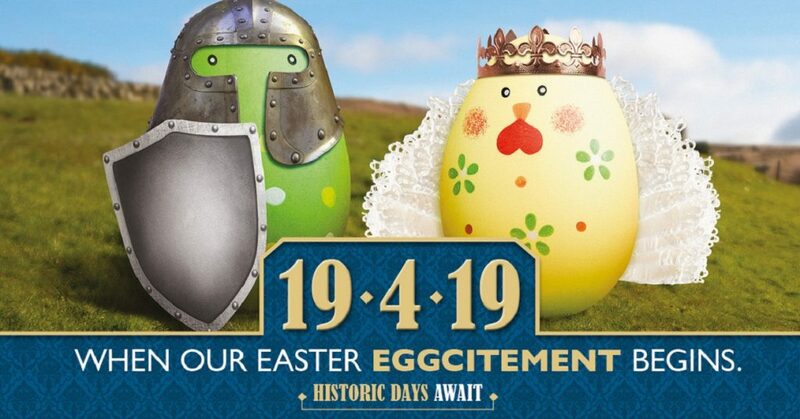 Our Easter Eggsplorer Trails will have the whole family hunting around Scotland’s iconic castles, palaces and abbeys this Easter. This Easter weekend, come along to 19 of our iconic sites to enjoy our Easter Eggsplorer Trails. These fun quizzes will introduce you to three animal characters- Dougie the dog, Grace the falcon and Ruth the cat- who will have you hunting around castles, palaces and abbeys to find clues and unravel anagrams. Complete your challenges to be rewarded with a chocolate Easter egg! 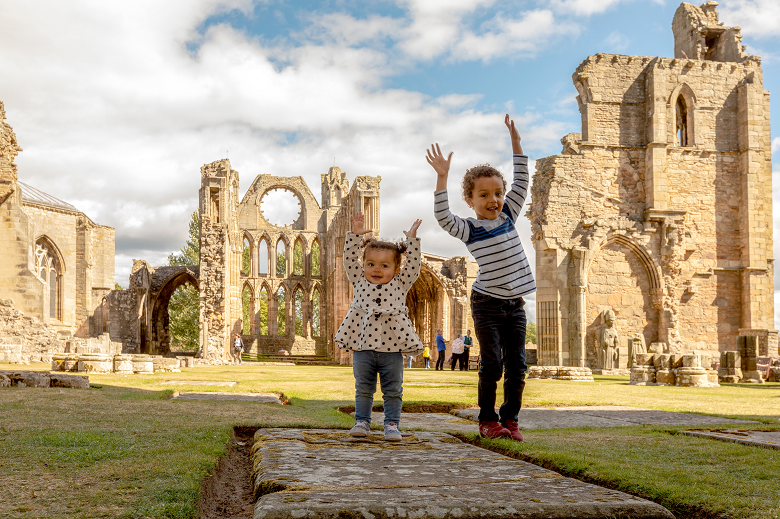 With these trails included in the admission price to sites, and completely free for Historic Scotland members it’s the perfect time to get out exploring as a family. Read on to find out more about our characters, and our tips for enjoying the sites you’ll meet them at! For centuries, dogs have been trusty companions to lords and ladies, soldiers and guards. They did many important jobs, from guarding castle gates to sniffing out prey. 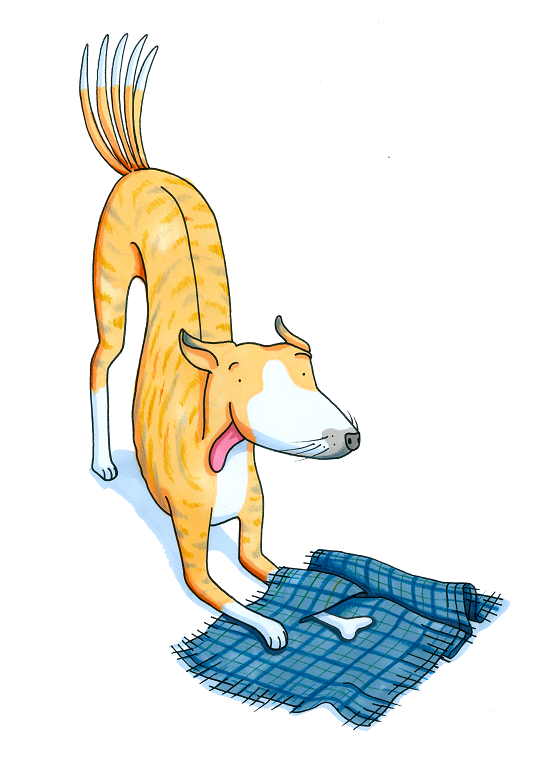 We bet they always liked bones and toys though – just like Dougie! Aberdour Castle – why not pack a picnic and enjoy Aberdour’s beautiful gardens? 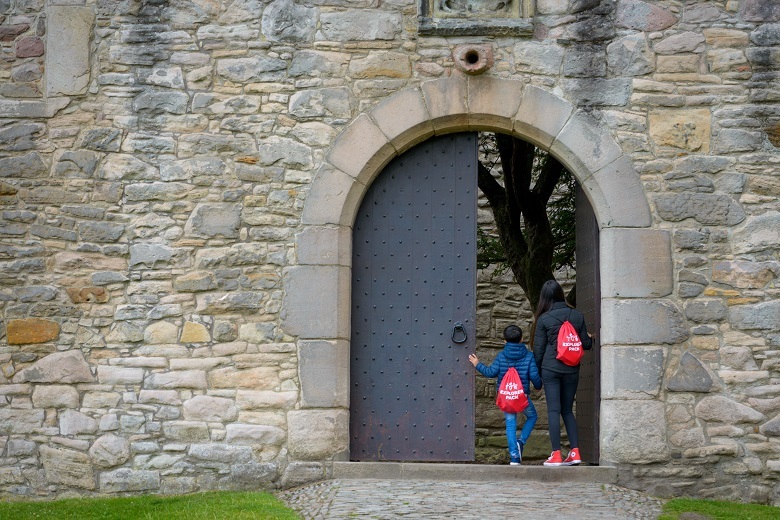 Craigmillar Castle – make sure to pick up an Explorer Pack as well as your Easter quiz. Let your imagination run wild by creating stories with puppets and musical instruments! Fort George – stop on the ramparts and look out for dolphins playing off the point! 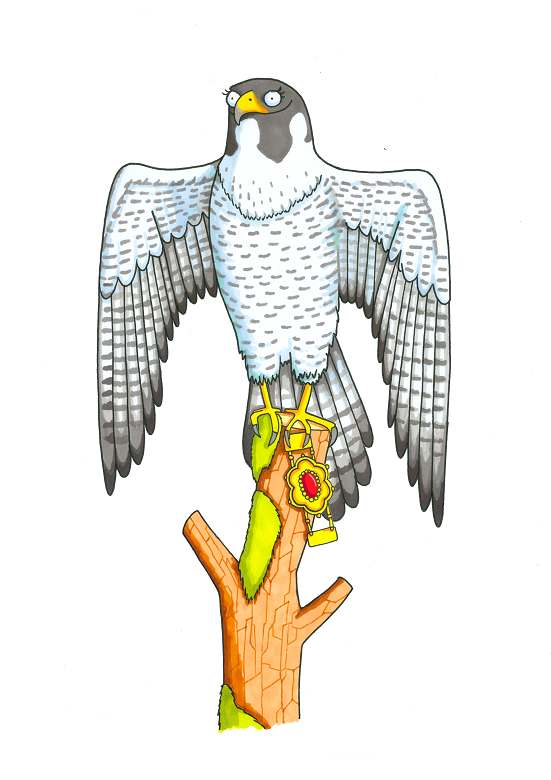 Ladies and knights, kings and queens all used hawks and falcons to hunt. At first they did this to catch food. But later flying these noble birds became more of a sport to show off skill and status. Grace is calm and dignified. Make sure you treat her with respect or she might give you a sharp peck! Bishop’s and Earl’s Palaces – here you’ll be in the heart of medieval Kirkwall, so why not combine your Easter eggsploration around the palaces with a visit to this quaint town? Caerlaverock Castle – be sure to download our brand new virtual reality app ‘Castle Quest’ and bring characters from the history of Caerlaverock to life! 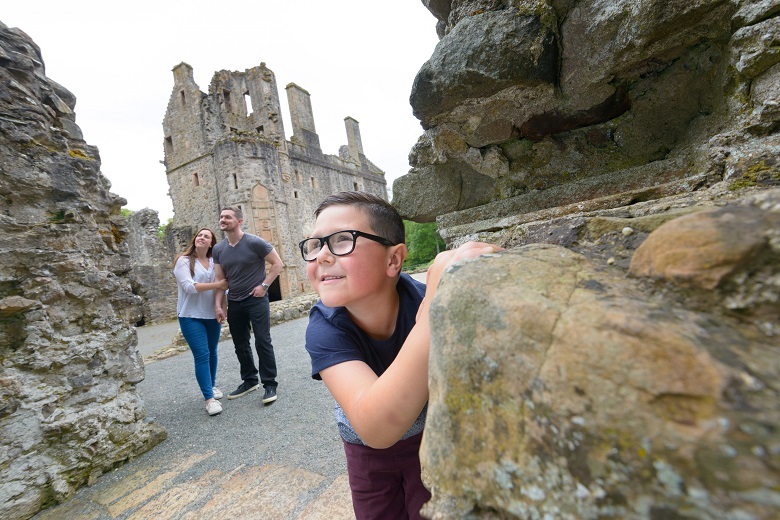 Castle Campbell– use all of the nooks and crannies in this dramatically positioned castle above Dollar Glen to play the ultimate game of hide and seek! Craignethan Castle – as well as Grace the falcon, why not enjoy our badger quiz created after one of the creatures moved into the castle last year? You’ll come away with lots of fun facts! Huntly Castle – climb up Huntly Castle and peer out windows to wave to people below imagining it’s your very own castle. The perfect place for a game of pretend! Linlithgow Palace – after exploring the palace head down to the Peel and go rolling down the hill like Easter eggs! Tantallon Castle – Tantallon’s seaside location looking out to Bass Rock is the perfect place to bring along binoculars. See how many sea birds you can spot! Cats were highly valued in castles, abbeys and mills, helping to keep down the numbers of mice and rats. 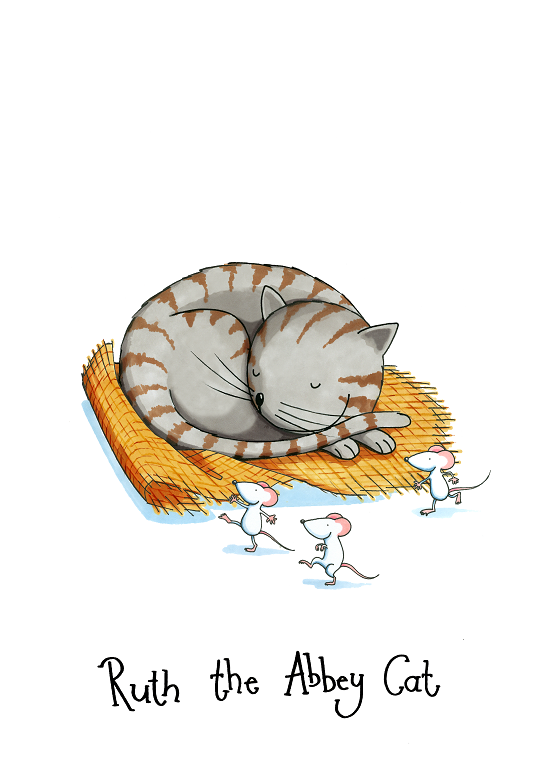 Ruth certainly likes chasing mice – when she’s not off somewhere having a snooze! St Andrews Castle– while completing your Easter trail, peer into the bottle dungeon at St Andrews Castle, one of medieval Britain’s most infamous prisons! Stanley Mills – travel back in time to see and hear what life was like for people working in the mill. You’ll learn lots of history as you find your Easter clues! Our Easter Eggsplorer Trails will take place at the 19 sites mentioned above from Friday 19 to Monday 22 April. Drop-in any time during opening hours to take part. The trails are included in the admission price to sites, and are free for Historic Scotland members. Why not sign up for membership, so you can enjoy all of our sites and daytime events for free?